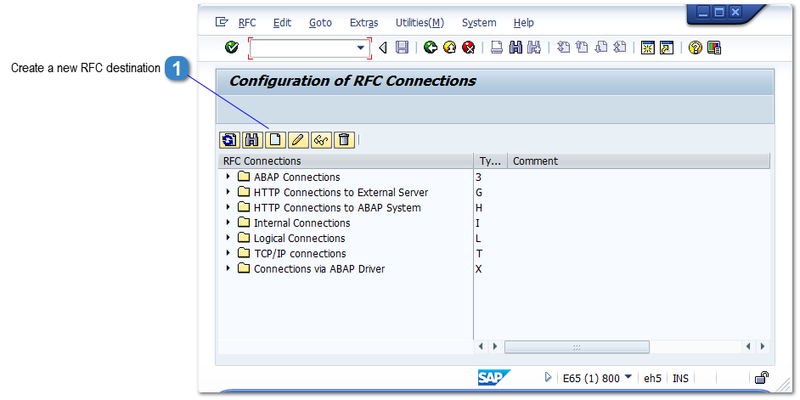 The RFC destination is created using transaction SM59 or SAP menu Tools>Administration>Network>RFC destinations. Click to create a new RFC destination. A new RFC destination can be created by copying an existing RFC destination. Select the existing RFC destination and display the detail. Then use the menu function Connection>Copy.